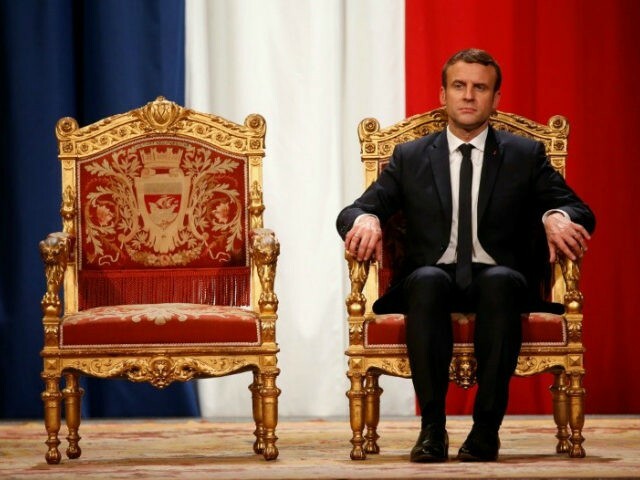 Ok, first and foremost Macron isn’t actually declaring himself to be a god at all. Yes he claimed he will run his office in a “Jupiterian” style, but he never claimed to be a god himself as did Caesar of old. It’s the Vatican controlled media making the claim for him. And that’s actually much worse than the man himself doing it when you think about it because the media, and this includes fake news types as we see here in America, have a lot more control over the people than most care to admit. Their fictional news reports, no matter how far off the cuff or downright insane, is something the people who have been conditioned to enjoy the lie can't resist. Case in point, do you remember the instant popularity of the National Inquirer when it first came out in America? The stories about everything from little green men and sightings of Elvis made that tabloid overnight millionaires. People love fiction no matter how insane it is. And the sad reality behind this is, this love affair with lies has grown so big that we not only have people standing in line to watch fictional movies about superheros, we have the same people cramming into convention centers to worship Star Trek characters as if they are real people! These "trekkies" actually dress up like the cast in the TV series and some have even gone so far as to learn the language of the Klingons no less! And so one has to realize that those in power see all this and realize they have a cash cow of sheeple ready, willing and able to believe any idiotic claim they can drum up. But have you noticed? There is a method to their madness. As we have seen the last few decades in America, it’s the media that governs the people and not the politicians. Sure, our leaders pass the laws and do enact governmental policy. But have you noticed how the media has the power to move the people to place certain leaders in power or worse yet, remove leaders from power as well? And when you have the power to cause certain politicians to gain office, all sorts of unjust laws will be the end result. And just for the sake of mentioning it, have you noticed how the media also has power to force people to riot whenever they need them to so as to pressure certain politicians to act? With just a few newscasts about cops killing actual criminals in America we have seen cities burned to the ground in riots more than a few times and so no one can ignore the power of the press. That all being said, for the media to proclaim a political leader to be a Roman god is exactly what Rome needs done so as to keep the narrative of religious laws ever present in the minds of the sheeple they control. Yes, I am all too aware that students of prophecy have been warning the people that religious laws are coming for years. Hence the reason I posted a new page to the site right before Trump gained office. His comments on the campaign trail regarding Christians, their pastors, and their right to mix religion and politics made it very apparent in my eyes that the religious laws we have been warning people about were coming much sooner than most realized. And Trump didn't let me down. We all saw what he did on May 4th. Since the Popes have been declaring themselves "god on earth" for centuries, and millions of sheeple have been declaring celebrities to be "gods" the powers that be know all too well how they can cash in on this. Satan knows confusion on a global scale like this is very valuable in that it's the ultimate means to distract from what's really happening out there. The world is literally coming to an end and the overwhelming majority have no idea that anything's amiss! And so, when the calamities go off the charts and start t disrupt their sporting events, Hollywood movie release dates, or even how available their drugs and cuisine are, the powers that be will use the media they all worship to fan the flames of confusion to suggest a global remedy to all that's wrong with the world and almost every man, woman and child on the face of the earth will fall for it. The fact the media sees no possible damage can come in claiming a politician is seeking the position of a god proves they know they have the masses right where they need them. The sheeple are spiritually corralled ready and waiting for their long prophesied anti-shepherd to make his call that brings them home to hellfire.